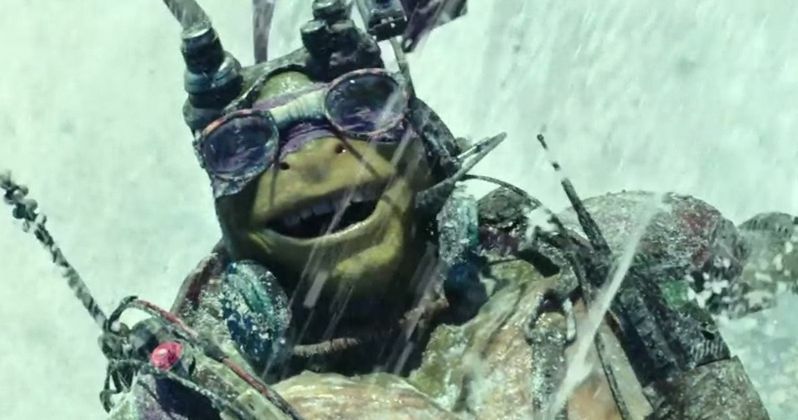 Nickelodeon has been celebrating the release of Teenage Mutant Ninja Turtles, hitting theaters in just three short days, with their Cowabungathon, which debuted two new character TV spots featuring Michelangelo (Noel Fisher) and Donatello (Jeremy Howard). This latest sneak peek offers plenty of insight into these two brothers and their skillset, along with previously-unseen footage. As Nickelodeon's Cowabungathon continues throughout the week, stay tuned for even more TV spots and footage as we get closer to the Teenage Mutant Ninja Turtles hitting theaters nationwide.